uPVC Painting Cost | How much does it cost to spray uPVC | uPVC Window Spraying Cost Covered. 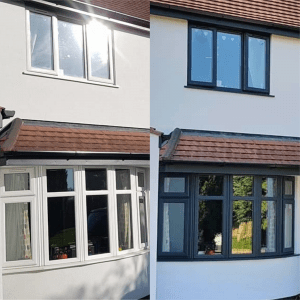 cost – UPVC Paint Spraying is the “Cost-Effective Alternative” to replacement windows and doors, it’s the cheaper solution. 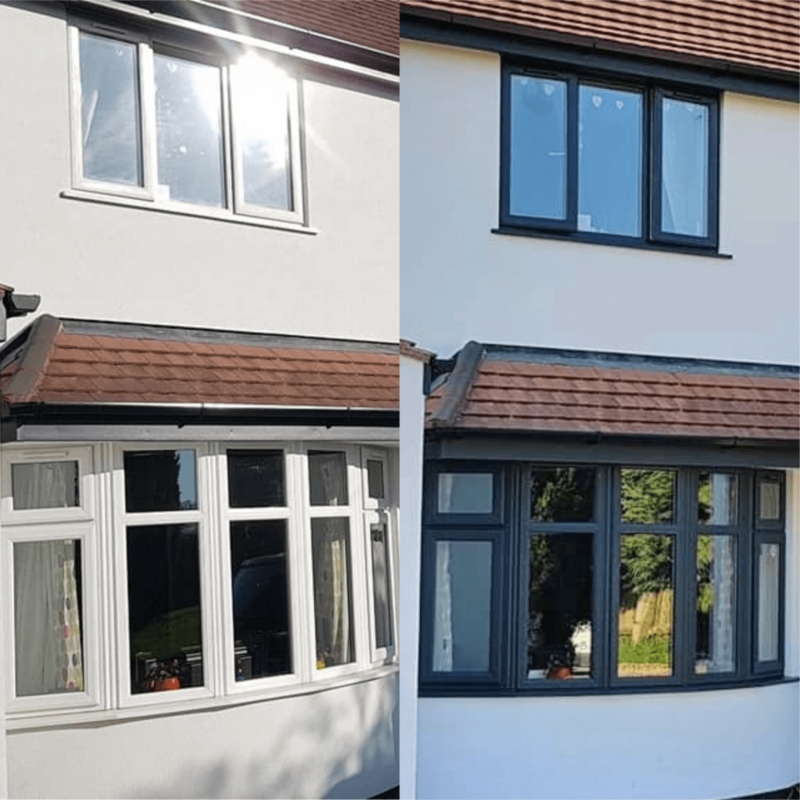 The protection of your existing uPVC windows and doors – A Spray application will not only add colour but also protect the plastic from the elements, extending it’s life. 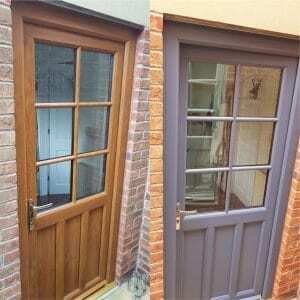 Increase the value of your home – uPVC Paint Spraying will certainly improve the value of your home. 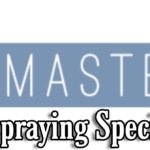 SprayMasters UK are well known for being the grandmasters of uPVC Spraying, we are referred to as the veterans of spraying uPVC windows & doors when ever someone recommends us. We have been spraying for many years. In order for a coating to last on plastic the preparation has to be meticulous, the spray technicians have to be diligent in masking to application, window opener removal to refitting. Spraying Painting is an art form, it’s simply not a case of pull the trigger & hope for the best, it’s finesse it’s connecting the eyes to the hands & creating something amazing. 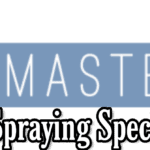 Here at the SprayMasters we have a rigorous quality control procedure, risk is high when carrying out this operation at someone’s home, that’s why the SprayMasters are the best, we have had zero incidents, everything is run like clock work. 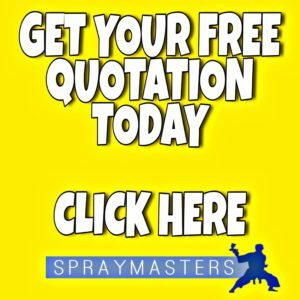 The best way to get a quote is to fill out the form below & one of our team will get in touch with you as soon as possible, the quotes we provide are valid for 60 days. 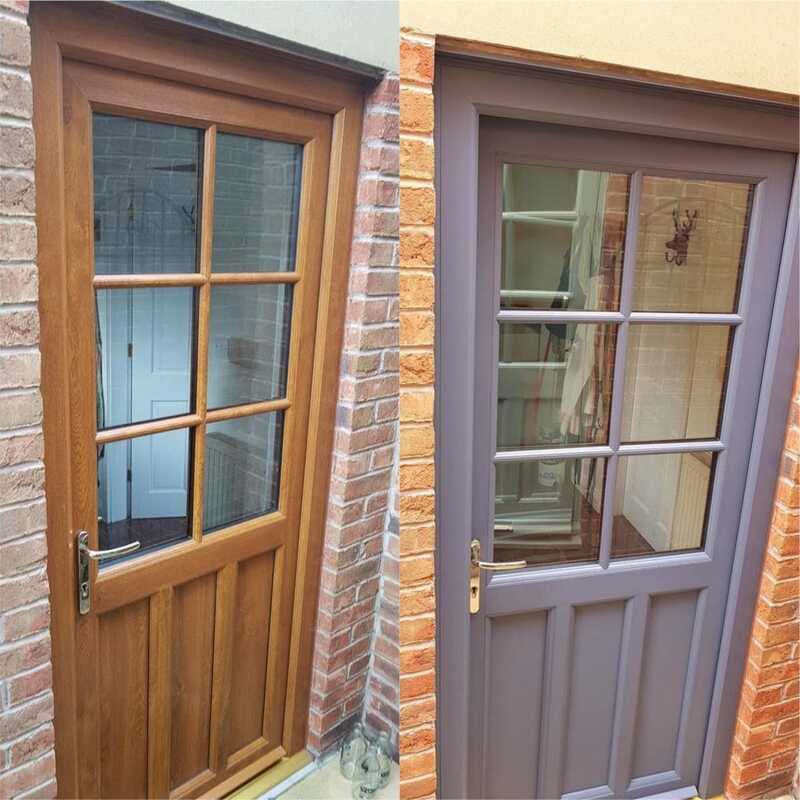 Our Guarantee’s are 10 Year adhesion Guarantee & 5 year UV, You can have additional Protective coatings to protect the colour for longer. Although “Paint” is in the job description you would never try and use these chemicals with a brush! it just wouldn’t work as the coating is a spray only product. 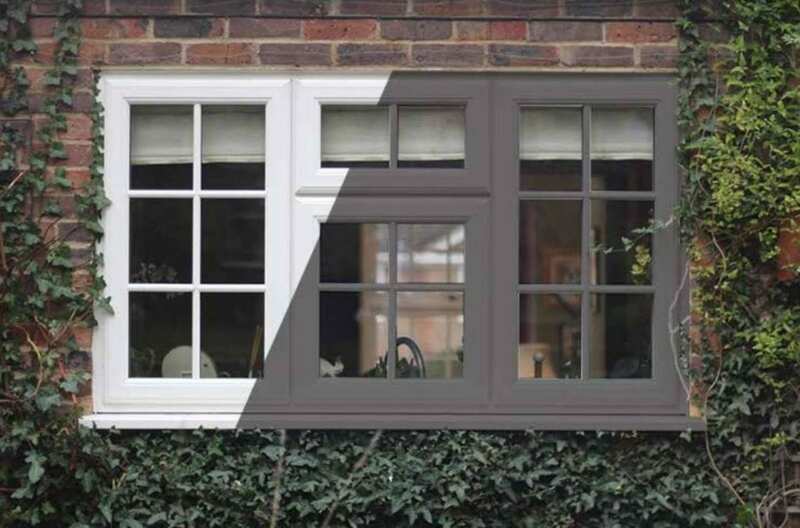 Only trained professionals should use uPVC Paint as it indicates on the technical data sheets.